We’re thrilled to have an expert from Screenflex Partitions explain one great, but sometimes overlooked, possibility that their portable room dividers offer. Kevin Maas from Screenflex makes some great points about their more artistic side. Showcasing students’ artwork is the pinnacle event of the school year. It is a time to highlight the artists’ works of art as well as to connect with parents and guests in attendance. However, planning an art show takes time, creativity and a lot of hard work. So finding the perfect way to display student artwork is essential to a well organized and welcoming art show. If you need furniture for your school, church, or office, you’ve come to the right place! Worthington Direct offers tables and chairs of different sizes, shapes, and uses. Buying in bulk is easy, quick, and more affordable than one or two at a time. 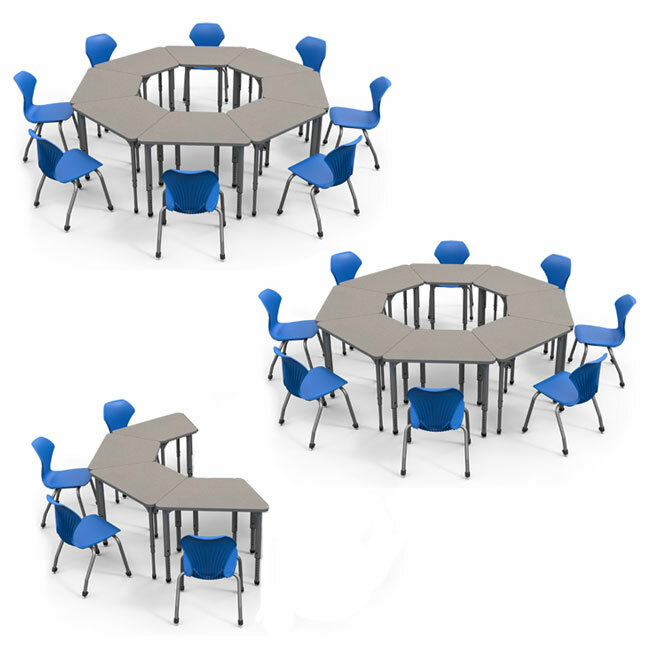 Our classroom desk and chair sets offer a variety of seating and desk solutions. First, choose between single or double Apex desks. The singles come in multiples of 8 or 20. 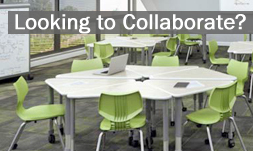 The two-student desks come in multiples of 4 or 10. These options include chairs for the number of students that can fit. Then select the desk’s top, leg, and chair colors. We have many options available, so if this isn’t what you’re looking for, check out our school desk section. Feeling Fashionable- Get Our Look! The life of an institutional furniture peddler is not always the most glamorous. But after being mentioned this week on Apartment Therapy and included in a New York Post’s Alexa luxury insert, we’re feeling pretty fashionable around the office.